Valentine's Day is full of hearts, hugs, happiness, red, pink, and love. It's a prime time to send those you love an eCard to show your eLove. Not to mention, eCards, along with being quick, can help you save two prime resources: money and paper. 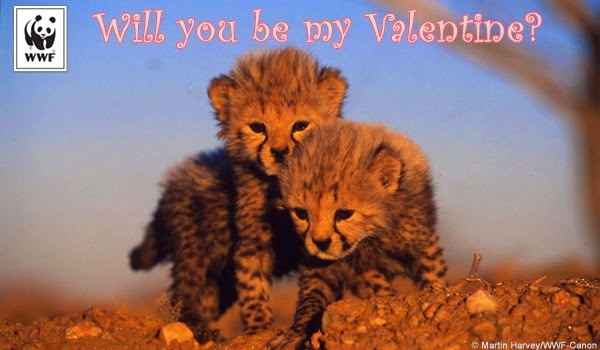 World Wildlife Fund has a slew of Valentine's eCards, as well as cards filled with adorable endangered animals for other card-giving reasons for other seasons. What a great way to show the people you care--about them and the things that are important.